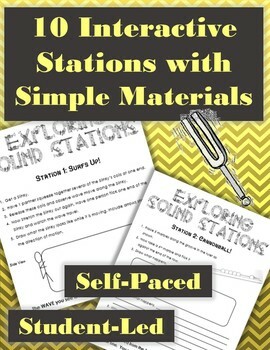 These stations are perfect for a student-led, self paced unit! 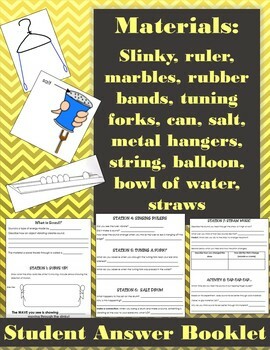 Design your own musical instrument project for early-finishers! 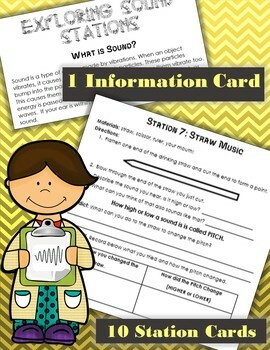 *Introductory reading on Sound and Waves. 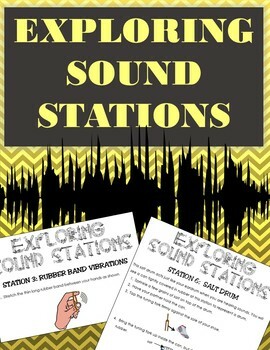 Stations focus on how vibrations make waves and that sound waves are made of energy transferring from molecule to molecule. Also covered is types of mediums through which sound travels through best. 9. 3 hangers, one with string tied to it, one with rubber bands tied to it and one with wire tied to it.